I love a good Aussie YA novel. I often find they a very different feel to them in style to the UKYA titles that usually take up my reading time. I can't even put my finger on what it is about them exactly but I like it. Last year I went through a real binge of Aussie YA titles reading book after book which was awesome. I must admit I often stalk Carla's (formerly of the Crooked Shelf) goodreads Aussie YA shelf when I am looking for Aussie titles to read and I while it is always a brilliant opportunity to find new books sometimes trying to get hold of the books is frustrating. 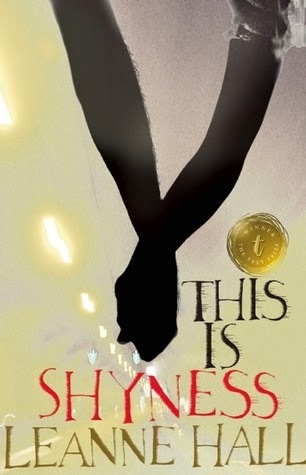 One book I've had my eye on for a while is This is Shyness but I couldn't find it anywhere. 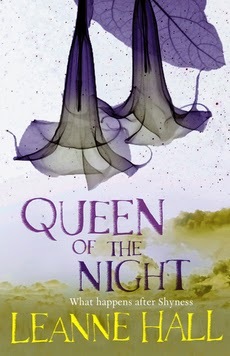 I was therefore incredibly excited a few weeks back to be offered it and its sequel Queen of the Night for review. In the suburb of Shyness, the sun doesn't rise. Wolfboy meets a stranger called Wildgirl, who dares him to be her guide through the endless night. There are things that can only be said in the dark. This is Shyness was a really interesting read. It essentially takes place over the course of one evening and floats along across the events nicely. It has a magical realism quality to it whilst being set in a world largely the same as our own. It is described as having shades of Peter Pan and the Lost Boys to it which I can see. For me the thing I really enjoyed about it was the relationship between Wolfboy and Wildgirl. I was utterly charmed by it by the end. After six months, Nia cannot forget Wolfboy and their one night in Shyness. He calls, pulls her back to the sunless suburb of Shyness, where dreams and reality are difficult to separate. There, Doctor Gregory has disappeared, the Darkness is changing, Wolfboy's friend is in trouble. Nia becomes Wildgirl again, but the Darkness no longer sets them free. The sequel to this is Shyness is set six months after the first book and absolutely captures the charm and spirit of book one. I enjoyed getting back to the characters and seeing how things were with them after the gap. Again the story takes place of the course of a short time period and is quite intense and I really found that drew me in as a reader. All in all both of these books are definitely worth a look especially if you are looking for a contemporary novel which is a little bit different.